David Ruderman is Senior Counsel in Colantuono, Highsmith & Whatley’s litigation practice group, City Attorney of Lakeport, General Counsel of Yuba LAFCo and Assistant General Counsel of the Tahoe Forest Hospital District and Calaveras LAFCo. 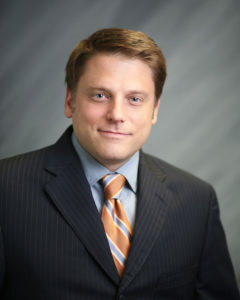 His litigation and advisory practice covers a range of public law issues, including municipal finance and public revenues, LAFCo matters, marijuana law, land use, open meeting and public records laws, election law, public utilities and general contract disputes. David has broad litigation experience in both state and federal courts, handling all phases of litigation from analyzing potential claims through trial and appeals. He is currently representing a Bay Area city on appeal as it seeks to enforce its limit on marijuana dispensaries and recently successfully defended the city’s marijuana land use and taxation ordinances from challenge by disgruntled dispensary owners. He has successfully obtained TROs and injunctions against several illegal dispensaries, including affirmance of a preliminary injunction against a dispensary in Auburn. David’s litigation work also includes defending on appeal his trial court victory in a taxpayers’ lawsuit challenging the Monterey Peninsula Water Management District’s decision not to call an election on a referendum to a water supply charge the District adopted under Proposition 218. He is defending a trial court win on a Proposition 218 challenge to groundwater extraction charges imposed on the City of San Buenaventura by the United Water Conservation District, which is currently pending in the California Supreme Court. Recently, he successfully defended a California Public Records Act case for a coastal city, averting an award of attorneys’ fees, and succeeded in having a local initiative that would have led to litigation with its bargaining units and CalPERS taken off the ballot after the trial court found it clearly invalid. On behalf of the Newhall County Water District, David also succeeded in challenging the wholesale water rates imposed on it under Proposition 26, resulting a published opinion: Newhall County Water District v. Castaic Lake Water Agency (2016) 243 Cal.App.4th 1430. David serves as a hearing officer for Nevada County in nuisance abatement, administrative citation, and marijuana cultivation appeals. His recent speaking engagements include panels on “LAFCo 101: Understanding the Applying the Basics,” “All Things Cannabis: Land Use, Cultivation, Water and Ag Land Preservation and Impacts,” and “Consolidation of Water Systems under SB 88 and SB 552” at the 2017 CALAFCO (California Association of Local Agency Formation Commissions) Staff Workshop. David’s articles on the SB 244, which requires local governments to plan for disadvantaged unincorporated communities, have appeared in editions of The Sphere, the CALAFCO journal. Prior to joining Colantuono, Highsmith & Whatley, David was an associate in the San Francisco office of Quinn Emanuel Urquhart & Sullivan LLP, where he represented private clients in a wide range of litigation matters. David received his J.D. from UCLA School of Law in 2006 where he was a managing editor of the UCLA Law Review. While at UCLA, David worked as a judicial extern for the Honorable Harry Pregerson of the Ninth Circuit Court of Appeals. Prior to attending law school, David served as a Peace Corps volunteer in the Russian Far East and provided immigration legal services to émigrés from the former Soviet Union to the San Francisco Bay Area. He graduated with honors from Lewis & Clark College with a major in History in 1997. David is proficient in Russian.